© French Chic Living by Florence de Dampierre, Rizzoli New York, 2015, photography © Tim Street-Porter. 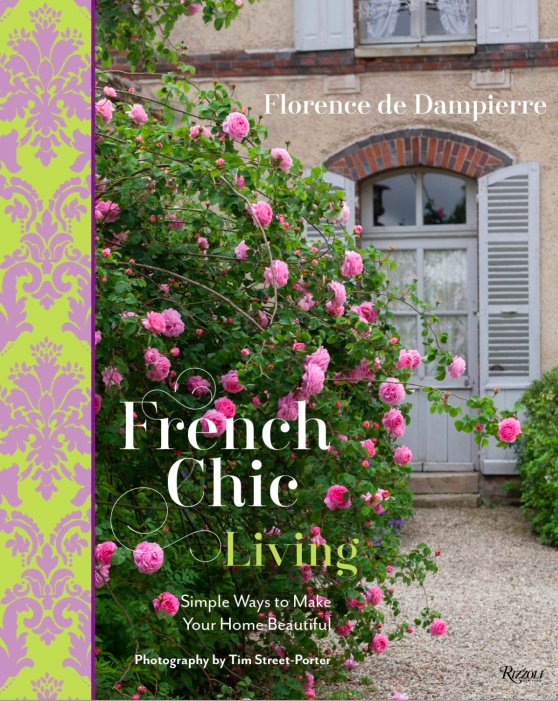 Sub-titled “Simple Ways to Make Your House Beautiful” – French Chic Living is choc-0-block full of tips for cooking, cleaning, storage, flowers, gardening, linens and pretty much anything one can imagine when it comes to home – all done up in the je ne sais quoi French style. Author, interior designer, lecturer, historian, entrepreneur, Florence de Dampierre is also known for her energetic personal style, warmth, and exuberance. Ms. de Dampierre grew up in Paris and currently lives in an old house in Connecticut with her husband, children and dogs. Her first book, The Best of French Furniture (published in 1987 by Rizzoli), has become a classic, selling over a hundred thousand copies. 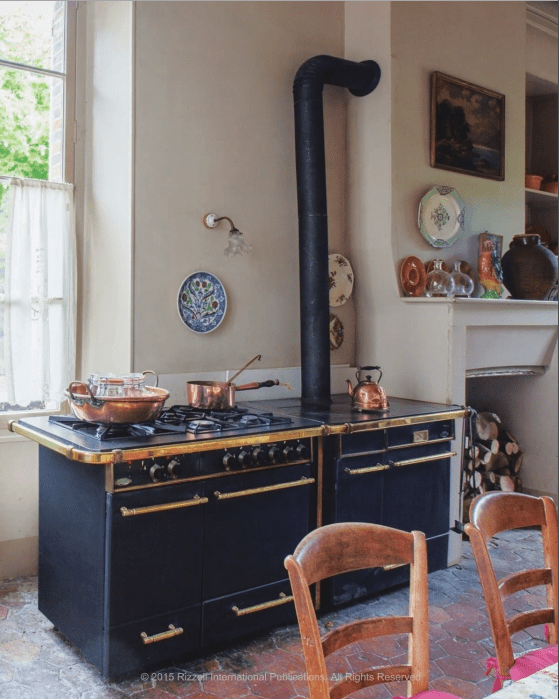 She then wrote The Decorator, which unpacks the work and style of fellow designers like Albert Hadley, Renzo Mongiardino and Madeleine Castaing. Florence’s next book, Chairs: A History, has become the reference book on the subject, has become the standard reference book on the subject. For French Chic: The Art of Decorating Houses, she illustrates her design principles through a tour of her home: The Art of Decorating Houses. Her most recent book, Walls, gives a lively account of how living spaces can been transformed by fresco, wood paneling, stenciling, paint and wallpaper. A contributing editor to the much missed House & Garden magazine, Ms. de Dampierre writes lifestyle stories for newspapers and magazines. She was a contributing editor to House & Garden. 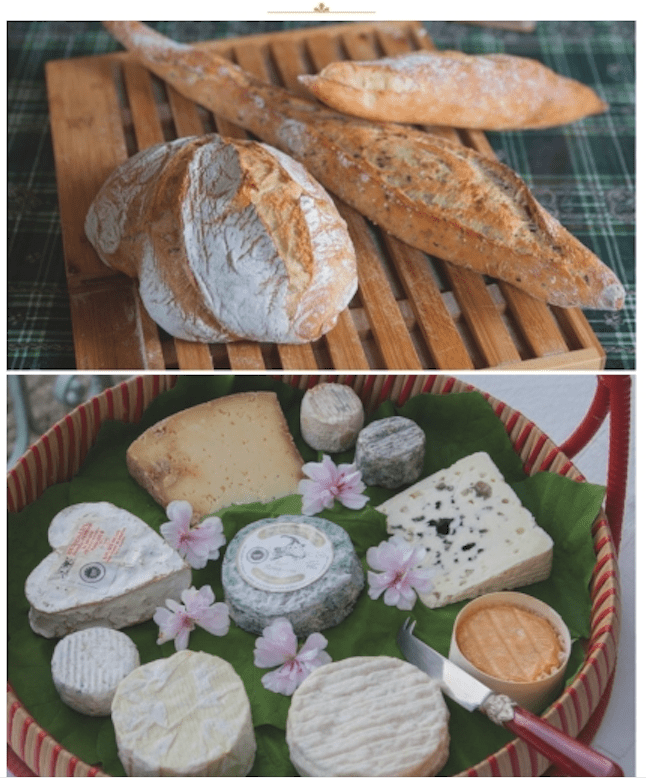 The book includes both the big and small details for fine living such as setting up the bar to brewing the perfect cup of tea or selecting a variety of cheeses for a well-balanced cheese tray. Tips abound for polishing silver and repairing chipped porcelain; recipes for natural beauty products as well as arranging flowers and entertaining. The promotional materials refer to it as a cross between Hints from Heloise and Parisian Chic. Another way to look at it is every Martha Stewart book rolled into one concise and easy to manage place – wrapped in a French accent. I will certainly be using it as a great reference book – plus the photos by Tim Street-Porter are beautiful! Available on October 13 on Amazon and other books stores and vendors. Oh I must have this book, Linda I can see that Florence is right i her element for entertaining in style!! Thanks you for the preview! It’s a good one Karena! Can’t wait to see this book. I’m planning to resume entertaining in 2016 and this will be my guide.